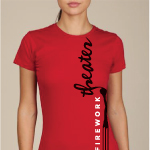 Firework Theater Tee-shirt Sale – Only $10! Select Firework Theater tee-shirts on sale now for only $10. Size availability is limited.